We are inviting all children between the ages of 11 and 16 (inclusive) to attend our six-week Junior Development Academy this summer, starting on November 25. Sessions are designed for juniors of varying ages and skill levels. The Academy is a fantastic opportunity for our junior Panthers to improve skills and technique before the 2019 season, while meeting and learning from some of our club’s best players and coaches. There are 6 sessions in total, 3 before Christmas and 3 in February. All sessions will be held on Sunday mornings from 9:00am – 11:00am. To register for the FHC Junior Development Academy, please send your name and contact details, and the name and age of your child/children to secretary@fhc.com.au. Cost: $60 per child for the whole course – only $10 per session! This fee has been significantly subsidised thanks to a development grant the club has received through the Office of Recreation, Sport and Racing. If you have any queries about the Junior Development Academy, please don’t hesitate to flick us an email. It’s time for the 2018 Forestville Hockey Club AGM! Come along to catch up with fellow members and hear about the club’s great achievements of 2018. This is your chance to put up your hand to help in the new year! Do you love working with people? Are you a gun grant-writer? Are you an aspiring events planner? Renowned for your organisational skills? Love counting money? Whatever your skills, knowledge, interests; whether you can contribute one hour or 100 hours, there will be an opportunity for you to get involved in 2019. Nominations for Office Bearers and Committee Members can be submitted via the nomination form. A proxy form, the draft AGM agenda and minutes of the 2017 AGM are also available. At the conclusion of the AGM an update on the progress of the new pitch will be presented. Did you buy a raffle ticket or ten for our recent FHC raffle? Winning tickets were drawn at our Senior Presentation Dinner on the 19th of October. If you have one of the tickets below, please get in touch to collect your prize by emailing secretary@fhc.com.au. A huge congratulations to the guys (and gals!) who have come out on top in the Hockey SA U18B Boys’ Grand Final! This Forest Hills team has had a stellar season and finished it off with style, beating North East Black with a convincing 2-0 win. Well done to all involved – players, coaches, managers and supporters – it has been wonderful to see you succeed and we can’t wait to see what next year brings for our juniors! Our other junior Grand Finalists were the U13B Boys – the match was extremely close but unfortunately it wasn’t their day, going down to Adelaide Hills 1-2. A big congrats to this team for getting all the way to the big dance – a great sign of things to come for our club! The Under 11 South competition does not have a finals series, however our U11 White team finished well and truly on top of the ladder – congrats!! At the other end of the age spectrum, after a cracking season our Men’s Masters team also narrowly missed out on a premiership with a 0-1 loss to Adelaide Uni in the Grand Final. 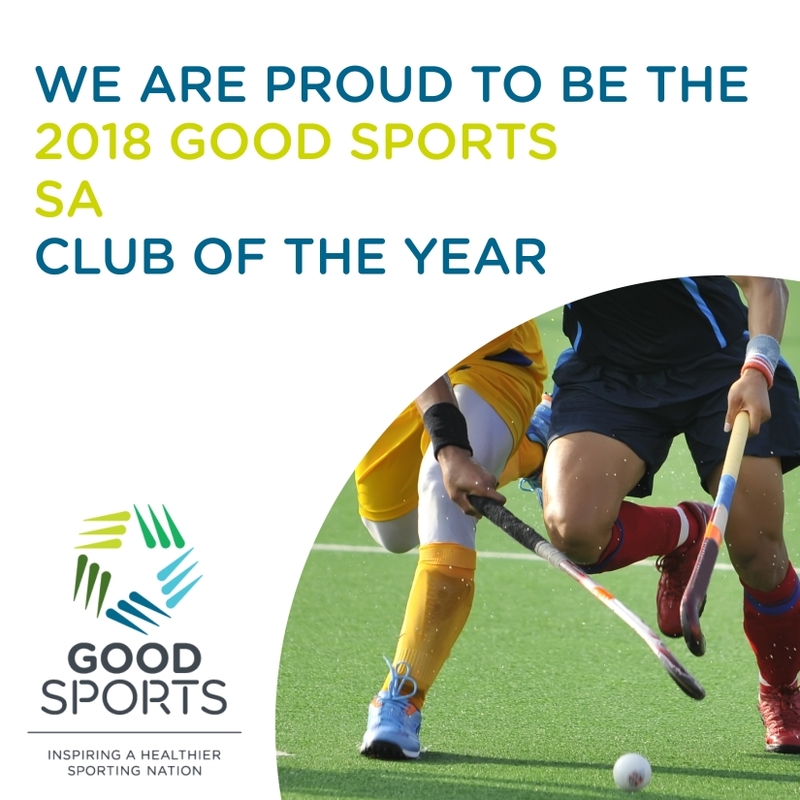 Well done to all other teams that made finals: U13A Girls, U18B Girls, M3 Men, M3 Women, M4 Women and M5 Women – bring on 2019! We are very pleased to provide you with an update on our progress towards establishing a new home for the Forestville Hockey Club. Corey Wingard, Minister for Recreation, Sport and Racing, confirmed in early August that the SA Government is committed to investing in the Women’s Memorial Playing Fields by developing the site as a multi-user, regional level sporting facility with a focus on supporting the participation of women in sport. The Liberal Government’s investment will improve facilities and also recognize the site’s importance and history through the development of a new memorial. These recent announcements from the Government represent great progress for our project and we thank the Liberal government for confirming their commitment and funding. We now look forward to commencing detailed planning under the guidance of the Office for Recreation, Sport and Racing, and bringing you further updates as they come to hand. The 2018 Quiz Night is almost here! The FHC Quiz Night is just two weeks away! Now is the time to get a team together, book in your table and prepare a giant cheese platter to see you through the evening. We’d love to have at least one table from every senior team! This is one of our biggest fundraisers so we would really love to have as many people along as possible – players, spectators, family, friends, friends of friends, quiz-lovers, quiz-haters… everyone is welcome! Bring along your own food and drinks. The bar will be open through the night selling a variety of beverages! Whether you can make it or not, it would be amazing if you could donate a little something that we can use as a prize or silent auction item – please email fhcevents@outlook.com if you can help us, and we’ll arrange to collect any items directly from you. FHC Online Shop is open for business! If you’ve been hanging out to order some Forries kit, now’s your chance! Head to our new shop at https://www.fhc.com.au/shop/ and start browsing an awesome range of clothes and accessories. Orders for this round will close 5:00pm, Tuesday 19 June 2018. If you squeeze in by this date, your merch will ready in approximately 4-6 weeks. How do I collect my order? After you’ve ordered and paid via Paypal or credit card, your items will be delivered to the Club. FHC vollies will either post your apparel to you or provide you with pick up details. Already placed an order at the sign on day? Liz Flavel would have contacted you by now and has confirmed your order. Please make sure you have made the EFT payment before 5:00pm Tuesday 19 June. Can’t decide what you want by Tuesday? If you miss this round, you can definitely place an order after 19 June, but it might be a little while before we know when the delivery date will be, as we need a minimum number of orders before we can process them. Pub Crawlers: For anyone planning to purchase a pub crawl shirt, we recommend doing this as a separate purchase to any other items you’re planning to order. Remember the due date to order shirts is this Friday. Forestville Hockey Club would like to thank Amy Lambert of Make Create for the time invested in developing the FHC online shop. We are excited for the upcoming 2018 Winter Season, which gets underway shortly. It is important that you register for 2018 season as soon as possible as all players must register before being able to take the field of play. Hockey SA online registration is now open to all members. Please click on the below link to undertake your registration.